This is a Fashionista Event and a promotional item was provided to me by Coupons. com. Hosts for this event are Still Blonde after all these Years and ModlyChic. All opinions expressed in the post below are 100% mine and mine alone unless otherwise stated. Please do your own research before committing to purchase a product as your opinions may vary. In my family, Black Friday is as much of a cherished holiday tradition as the turkey on Thanksgiving, opening up one present on Christmas Eve, and banging pots and pans at the stroke of midnight on New Years Eve. Heck, as far as my family is concerned Black Friday IS a holiday in and of itself! My mom, sister, and I have been battling our way into stores with the best holiday deals at ridiculously early hours for years. Of course each year is a toss up for me in regards to my health since Winter is usually my worst season but if I'm at least halfway decent I'm out scouting deals. I do remember a particularly humorous year where Black Friday was tackled in a wheelchair and in which I became a human cart, clothing piled on my lap all the way up to my eyeballs! All by my sister of course, who is the fashionista of the family. Throughout the years we've picked up some great deals including tons of incredibly priced movies and TV show seasons to seasonally appropriate clothing to thoughtful gifts for family and friends. In all the past years though, the best purchase I ever made on Black Friday hands down had to be my Winter wool peacoat jacket from New York and Company. One year I deviated from the family and decided to do Black Friday with one of my best friends so we hit up our local mall to see what goodies we could snag. I had no intention of buying much (sadly, it's called a budget) but once I saw this coat hanging on the rack with a ridiculously too-good-to-pass-up price tag along with the Black Friday sale they were running, well, I just couldn't pass it up! The peacoat is very figure flattering and came in several colors but I decided upon the grey because I thought it would go with pretty much everything. Since the coat is mostly wool it's also amazingly warm. At the time I purchased my coat my friend ended up also trying on the same coat but decided to pass it up. Once we were shopped out she dropped me back off at my house where later that evening I got a phone call. 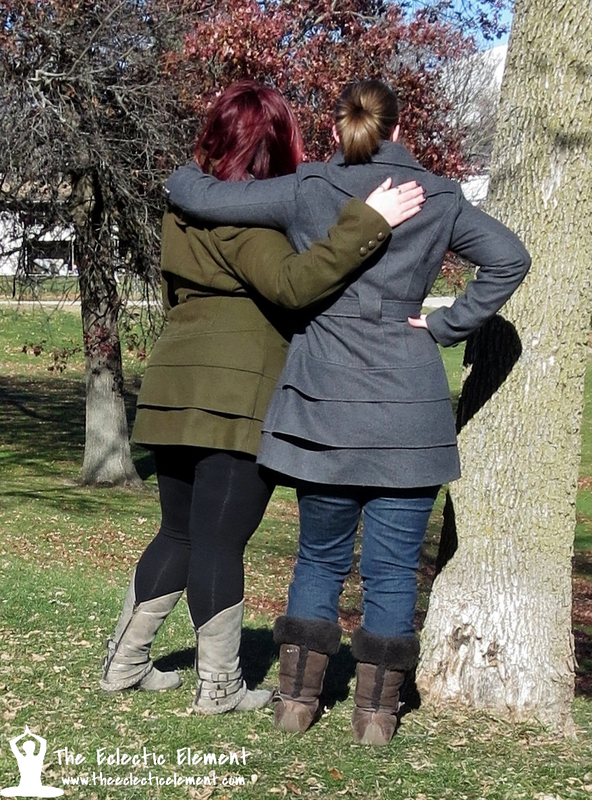 Turns out she ended up going back to the mall with her mom and picked up the same jacket in green. Like I said above, it really was too good to pass up! 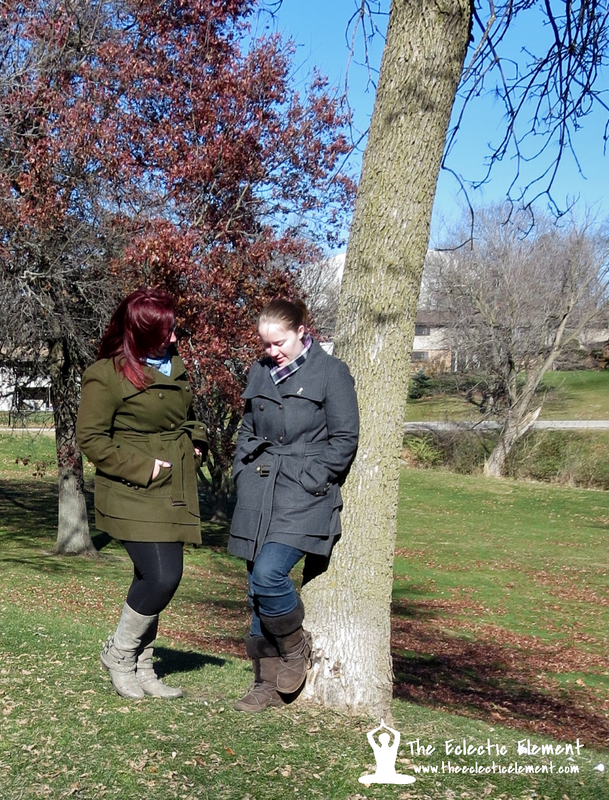 Years later we both still wear our peacoats that we got that fateful Black Friday when the weather starts to sport a nip in the air. Minus one lost and one loose button with some everyday wear and tear, they have both held up incredibly well to the test of time. Just goes to show you buying quality made products is always the way to go. With Black Friday only 4 days away, Coupons.com wants to make sure everyone is ready with relevant and helpful Black Friday articles on The Good Stuff, their resourceful magazine filled with tons of great information including shopping trends, tips and tricks, recipes, giveaways and more. 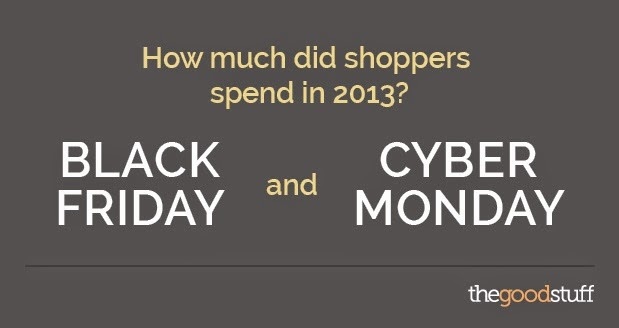 Speaking of, this Black Friday Shopping Infographic shows you just how much shoppers spent last year during Black Friday and Cyber Monday. It also includes which day is more popular to shop, which region in the US spends the most, and who spends more, men or women. 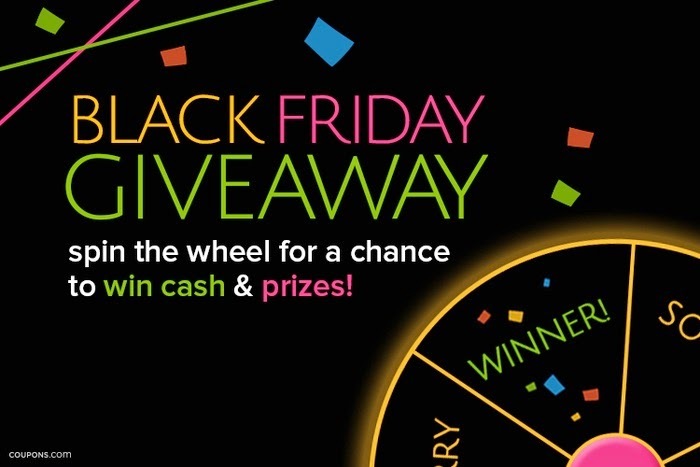 Of course it wouldn't be Black Friday without Coupons.com Black Friday Giveaway! Ending December 7th, you can enter the giveaway daily to instantly win 1 of 100 $25 gift cards to several different places like Sears, Sephora, Toys R Us, Kohls, and more. As if that wasn't enough, one extremely lucky grand prize winner will receive $10,000! What's YOUR best Black Friday or holiday purchase? I love your coat. I am in SORE need of a coat and in fact, that is what I am going to go looking for this Black Friday. shoot, if I saw that coat on a black friday sale, I would snag it up too! I am in love with it! I really want a peacoat this year for Christmas. I would have snagged the coat, too! What a great deal. I LOVE those coats. They are gorgeous! It's amazing what kind of deals you can get on Black Friday. Love the coat!! I love getting new kitchen appliances with the Black Friday Sales!!! Those are super cute coats. I will be looking at toys for the kids this year. I love both coats! What a great giveaway! Those are awesome looking coats! I find that we always end up with at least a few movie bought on Black Friday. Awesome giveaway! Those coats look AMAZING! Coupons.com always has great deals! I love saving money! Your coats are so adorable and they look great on you! I love finding deals! Thanks for sharing! I love the details on the bottom of those jackets. Super cute!! I have to spin that wheel today!! Any extra shopping money would be great! I LOVE love love the coats!! And the boots are super cute too! What great buys! I love your story and photos! Pinning some photos for you as well. Thank you for sharing this story with us. Those are beautiful coats! I really like the gray one best! My fave purchase was probably a TV. It was crazy to get it but a ton of fun. So sweet. I love a good girlfriend story and so much better when it involves shopping and saving!. Great contest too! That gray jacket is adorable! Love it. Thank you for sharing. I love your coats! They are super cute. I also love coupons.com. They make it so easy to save. 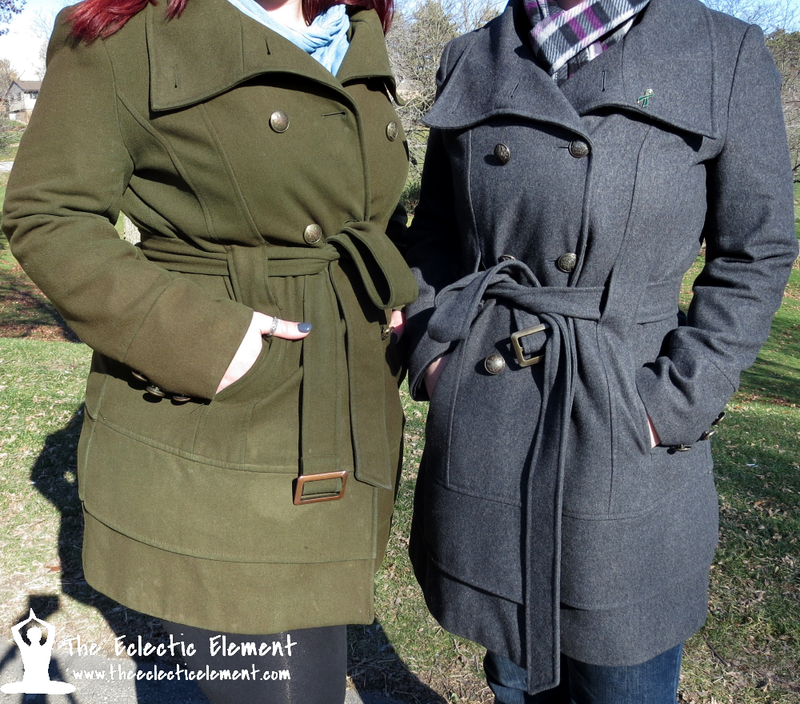 I so love the style of these coats. Both colors are amazing and I adore the backs of them. Thanks for sharing. Those are great coats! Thanks so much for sharing! Those are great jackets! Nice find! I got licensed pajamas for my girls for $4.00. I'm not a big ticket type of girl.